Another thing - since I've had my Turbosmart FPR800 fuel pressure regulator fitted, I think the fuel is draining back to the tank shortly after ignition on, you can hear the fuel drain and regulator make gurgling/suction noises as it fills up if you go to ignition again, creates a longer cranking time to fire. Its improved with the new EV14 injectors on restart compared to the originals by a long margin but that initial start takes a few engine cycles to fire. I'll put a mechanical fuel gauge on the regulator and check it out what it does after ignition on and the pump turns off, can you put a check valve in at the back of the regulator so that the fuel doesn't drain so far back out of the system? It has a Walbro 255 on it - I know from experience the factory pump setup on the Ecotec Commodores have some sort of check valve on the pump as I've diagnosed this problem on one of my customers cars in the past - using a fuel pressure gauge after you went to ignition the fuel pressure dropped straight away, the valve was ****ed in the pump and a new complete assembly fixed it from extended cranking. Last edited by Daymoe; 24-01-2019 at 02:37 PM. 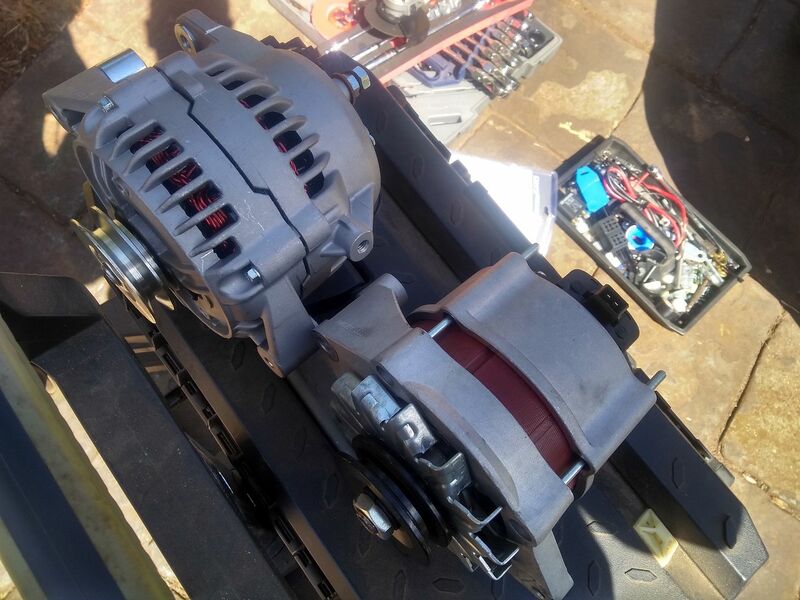 Next to VT 120A internal fan alternator (BXH1250A is the Bosch part number/ANB230 for JAS Oceania) - this comes with the required pulley rather than the VT serpentine one. The 80A alternator would drop to 12.5V at idle with all the accessories on, was a bit worried going to electric thermofan and sequential igntion. The Walbro 255 doesn't have one in the pump. The raceworks 255 does and the high flow Walbro 460 etc do. Even the raceworks is a pain first start of the day but is fine after that. That makes perfect sense, its the same thing with my car it will turn over maybe 6-7 times before it fires, then its fine, at the end of the day its not a big deal at all, its just a little annoying - I haven't driven it in a few weeks with this hot weather as the A/C is ****ed, I went from off to ignition a few times to fill the lines and the fuel pressure regulator, then it fired up pretty quick. Does anyone know the threads on the fuel tank side of the fuel filter? May be worth me putting a check valve there so the fuel can't drain backwards. 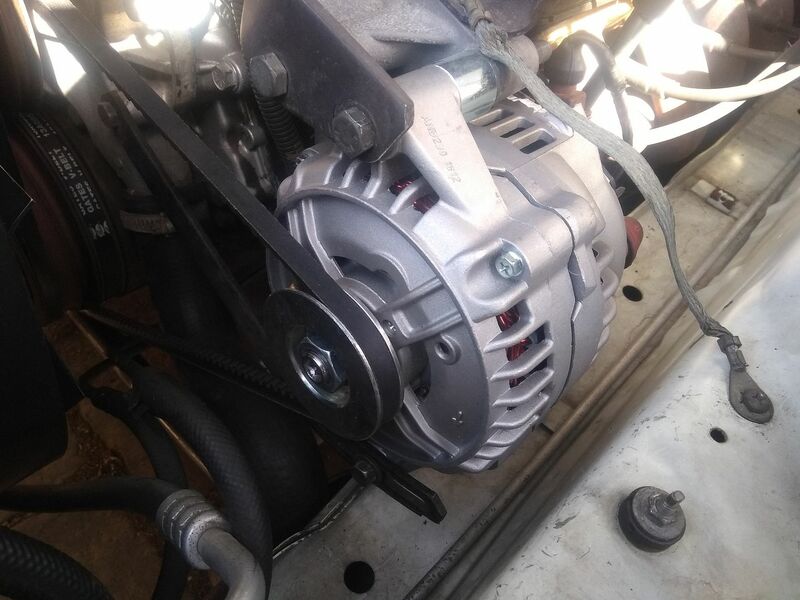 Wow.Tried to get those 120A alternators with v pulley a few years back..either NLA or crazy priced....ended up with modded ls alternator. What did it set you back? I think it was about $230+ GST from JAS Oceania - I noticed they only had two left nationally and no stock of the genuine Bosch BXH1250A. You may be on the money with it being discontinued looking at those stock levels - can still find ANB230 on Google. Good to know they put out some decent voltage/amperage at low rpm. I was skeptical of them so I modified a genuine bosch VT one to suit. Took it for a 100km round trip tonight to grab some coffee, took it through the car wash and monitor everything making sure its running properly. No more dash cluster dimming with the indicators flashing on/off at idle or brake lights on, slow power windows and it idles properly going from D to P after being warm and going for a drive. 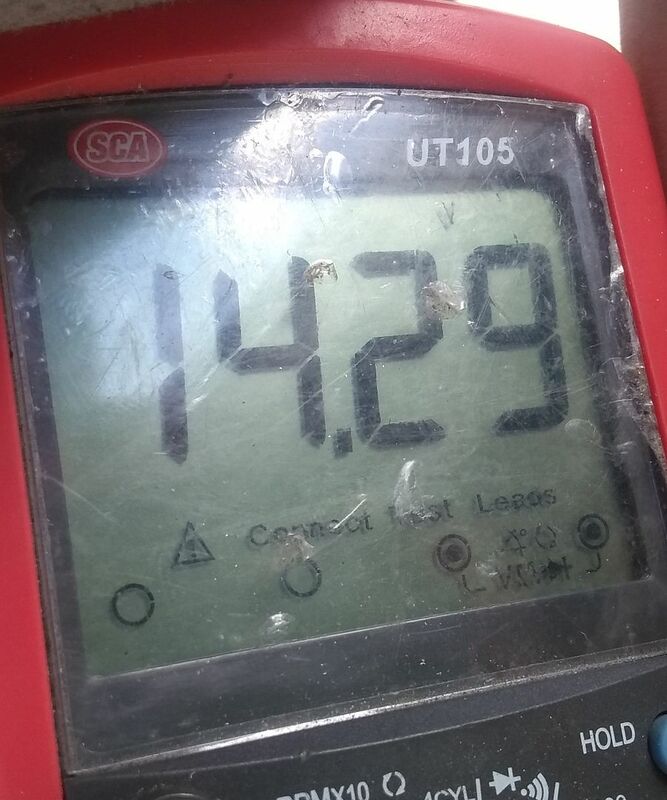 I guess its getting 14V+ at idle now, sometimes it would drop to 11V at idle with everything on which was probably causing some funny electrical issues, it did that with the original alternator, the new 80A replacement and now its all gone with the 120A VT alternator. Does the VS block need to have all the clearancing work the 383 build requires? There isn't much different between the 355 and 383 kit in price but I assume labour to have everything clearanced properly for the 383 would make the costs of building a 383 short stack up significantly. My understanding was 94-later blocks were factory clearanced, and could go 3.48" stroke with I-beam rods. H-beam may require minor clearancing, as will 383 builds. Can you do clearancing yourself? There is a good thread on it on AV8 if you look. I wouldn't be confident doing this myself, but I imagine considering I don't want to spin it past 5500 RPM and will be using forced induction to make the power I probably won't need 4 bolt mains conversion and could probably get away with ARP fasteners rather than going the full 9 yards it wouldn't be overly expensive regardless of clearancing. Whats a short cost to have done w/new ancillaries like oil pump etc (rough prices)? Say $3500 for the kit from COME, another $2000 in labour and $1000 in machining? I'd probably see if I can get my hands on a VT 304 to have it done to because it has provisions for roller cam. Last edited by Daymoe; 17-02-2019 at 11:31 AM. I put my foot flat on the accelerator and then it fired up - seems very odd. Come racing claim that their 383 stroker kit with h beam rods needs no more clearance than their 355. Anyone know if you can put a normal VS Commodore rack in the Caprice? 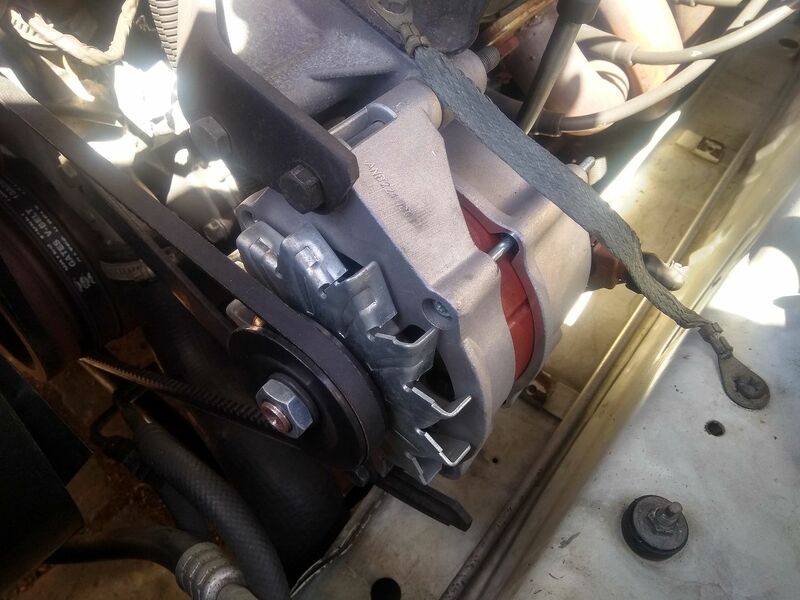 I think mine has that variable power steering BS, it causes an issue with header fitment apparently, I want to put a normal rack in and then run a set of Pacemakers or something.